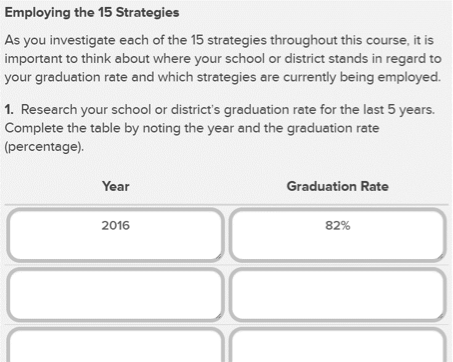 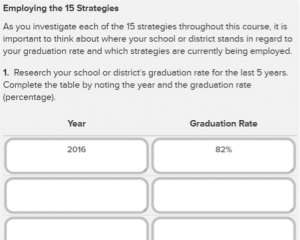 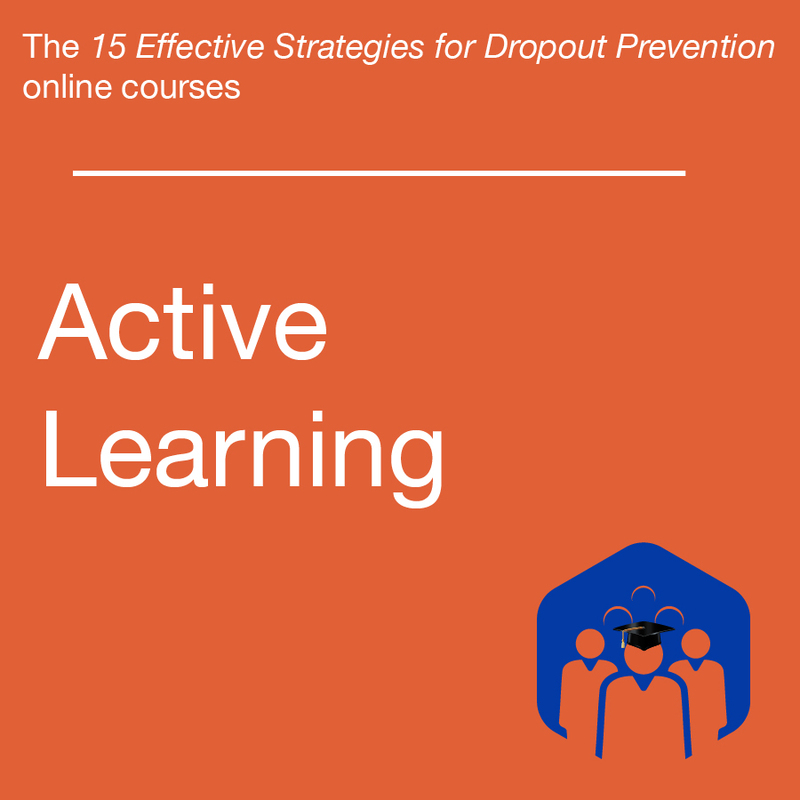 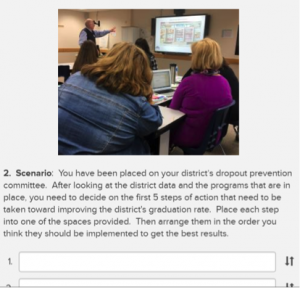 This course is part of the 15 Effective Strategies for Dropout Prevention online courses, based on the National Dropout Prevention Center’s 15 Effective Strategies for Dropout Prevention. 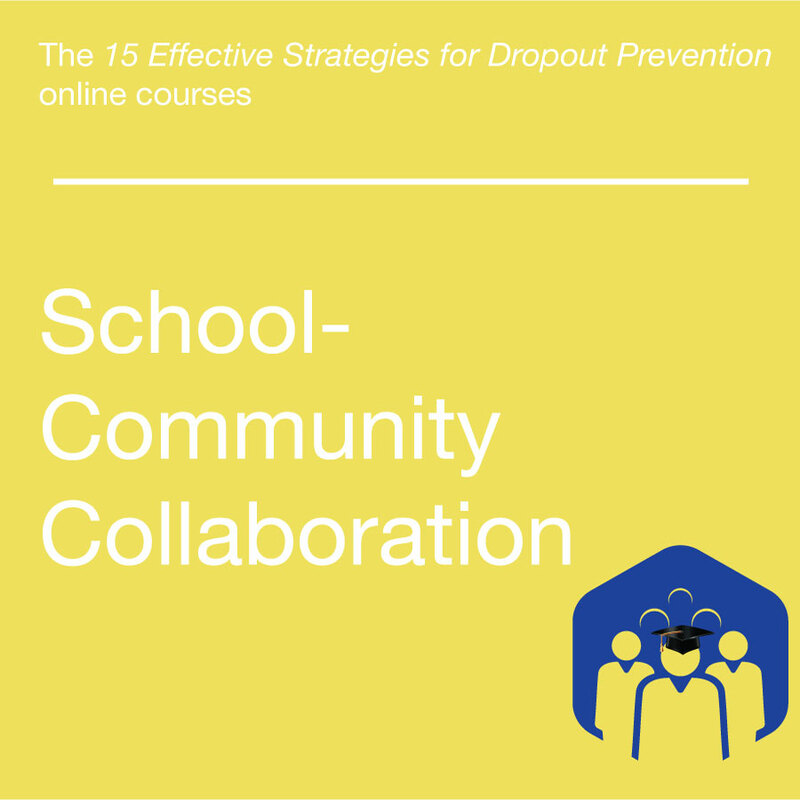 If you are using this course towards the twelve professional learning credits necessary to complete the National Dropout Specialist Certification Program, please download your certificate upon the successful completion of all activities relating to the course, and email it to Annette Bassett at acarver@dropoutprevention.org. 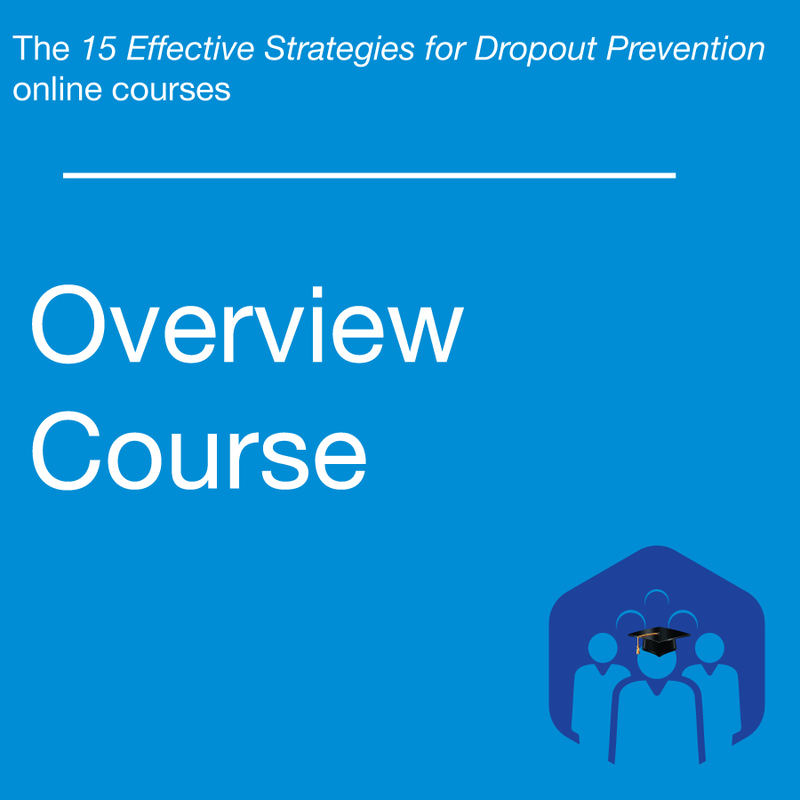 Due to the length of the course, this course provides two professional learning credits towards the National Dropout Specialist Certification Program.